Martha writes to Miss Barry to thank her for the letters about Frances and tells her to write anything that comes up. 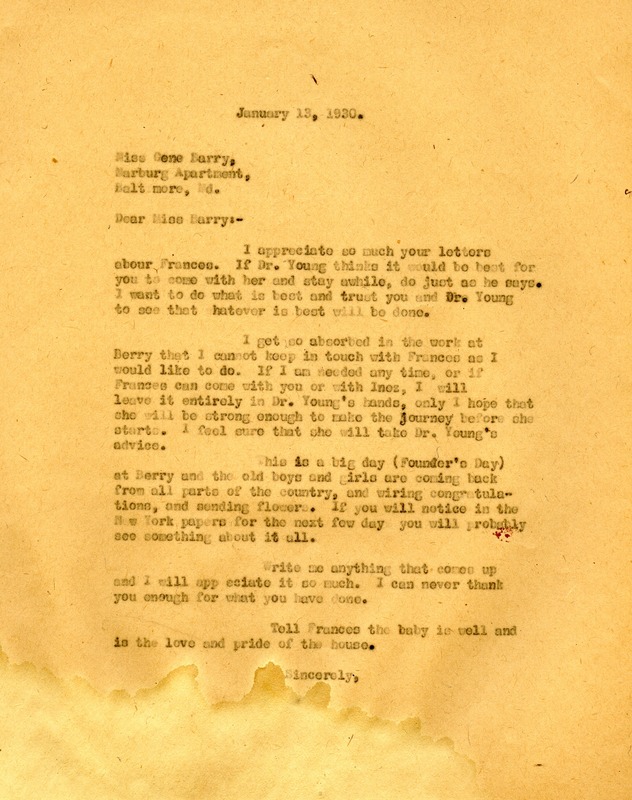 Miss Marth Berry, “Letter to Gene Barry from Martha Berry.” Martha Berry Digital Archive. Eds. Schlitz, Stephanie A., Aaron Jackson, et al. Mount Berry: Berry College, 2013. accessed April 20, 2019, https://mbda.berry.edu/items/show/11755.